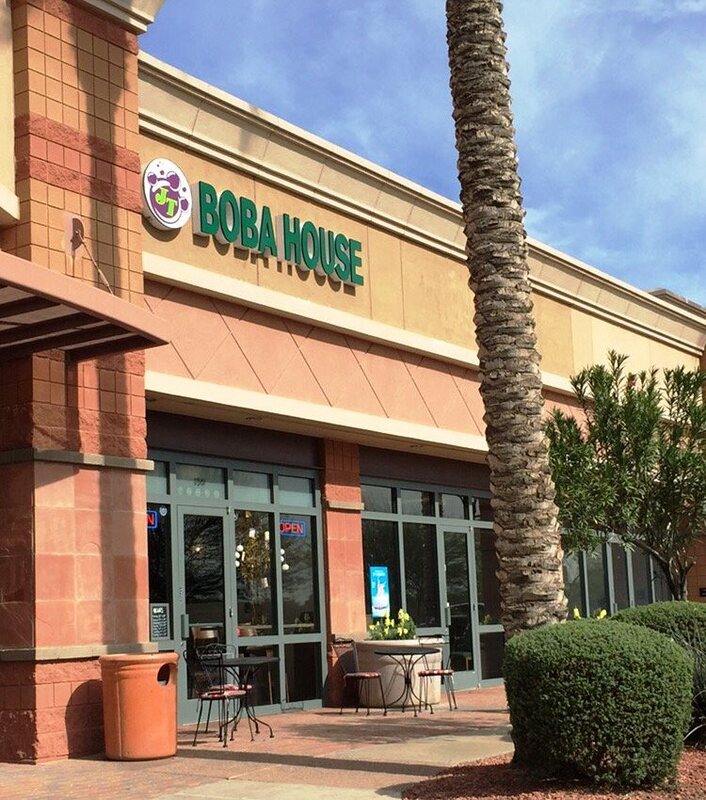 We are a family-owned and operated bubble tea mixology shop located in Avondale, AZ. If you’re looking to quench your thirst on your lunch break, stop by and enjoy a cup enjoy a cup of our delicious milk of our delicious milk teas, in-house special teas, chia fusion drinks, or something tangy from our mojito blends. You can have high quality speciality teas at JT BobaHouse. We offer over 200+ flavors to choose from. We prepare your tea in-house, iced, or hot iced, or hot-brewed to order. brewed to order. JT BobaHouse has a clean and modern vibe with high stool seating and free Wi-Fi. It’s a great place to sit down with a friend or to pick up a quick refresher if you’re on the go. Come and check out our chalkboard menu or talk to our friendly baristas and they can tell you more about our delectable speciality tea options.